Bath - Harry E. Fullerton, 95, of The Plant Home and formerly of Topsham died Tuesday, October 9, 2018 at his residence. He was born in Bath on October 13, 1922, a son of Cecil and Florence (Webster) Fullerton. He attended Bath schools and graduated from Morse High School in 1941. 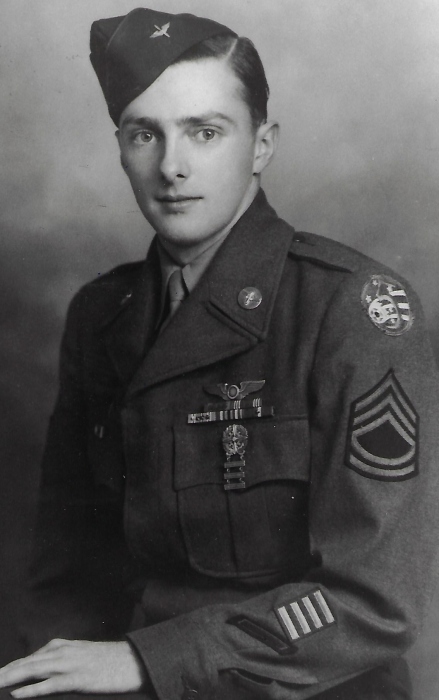 In 1942 he entered the United States Army Air Core during World War II until 1946. Harry then joined the National Guard for 30 years, retiring as Senior Master Sargent. On December 23, 1946 he married Janet Colley and they lived in Topsham. In 1947 he was employed at New England Telephone until retiring in 1980 as test supervisor. In 1994 he married Ceil Sukinic. In 2008 he moved to Sunnybrook in Brunswick and in 2015 he moved to the Plant Memorial Home in Bath. He was a member of Grace Episcopal Church in Bath and was a member of the Bath Country Club. Harry enjoyed golfing and bowling. He was predeceased by his first wife, Janet C. Fullerton, one daughter, Valarie McPhee , three brothers, Cecil, Walter and Joe Fullerton, one sister, Eleanor Bouwker and his second wife, Ceil Fullerton. He is survived by two sons, Harry R. Fullerton and his wife Suzanne of Gorham and Dr. Mark D. Fullerton and his wife Monica of Columbus, Ohio, 10 grandchildren, many great grandchildren, his sister in law, Cynthia Fullerton of Windham, his son in law, Neal McPhee of East Boothbay and several nieces and nephews. A visiting hour will be held at 10 AM until the memorial service at 11 AM on Friday, October 19, 2018 at Daigle Funeral Home, 819 High Street, Bath. Burial will follow at Oak Grove Cemetery in Bath with Military Honors. Memorial contributions may be made to The Salvation Army, 25 Congress Avenue, Bath, 04530. Condolences may be made online at www.DaigleFuneralHome.com.